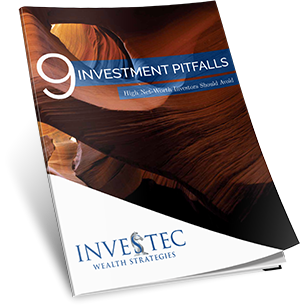 With Investec, you don’t have just one advisor. Instead, you have access to the combined expertise of a multidisciplinary team that can help you find solutions to financial issues you may face. We work collaboratively with both in-house and external experts to find the answers that address your needs. By limiting our services to a select group of affluent clients, we are able to go well beyond a superficial understanding of your goals. We invest a significant amount of time to better understand your hopes, dreams, concerns, and priorities and use that knowledge as a framework in offering proactive solutions and continuous assistance. Ongoing guidance for turbulent markets. Today’s global markets are marked by uncertainty and volatility. We focus on pursuing success in every kind of market environment. Our firm uses various risk management techniques to preserve your wealth while growing it for the future. Advice for every generation of your family. Our service doesn't end with you. We can help the next generation of your family make the most of their opportunities and ensure that your legacy is protected. Objective financial strategies, not sales pitches. As independent fiduciaries, we are held to the highest standards of ethics and are legally obligated to put your interests first. Our simple, transparent fee structure aligns our interests with yours and puts us on the same side of the table. The better you do, the better we do.